Live music, Shopping, Cocktails! 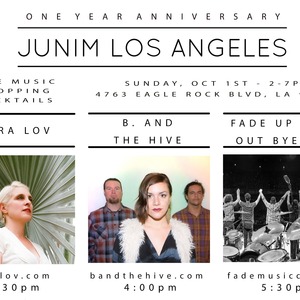 I'll be playing at my favorite clothing store Junim LA In Eagle Rock. Come celebrate the 1 year anniversary of this awesome shop! Haley Solar makes all the clothes herself and they are my favorite! I'll be joined by Scott Leahy on guitar and Nick White on keys.